Possible Danger. 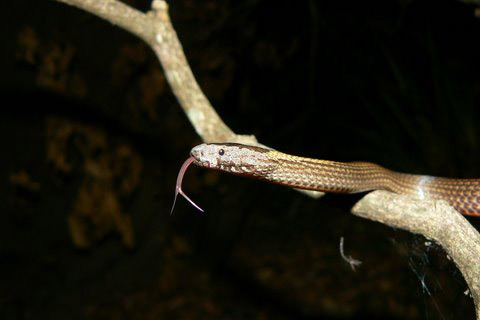 All crowned snakes are reluctant biters. They will rear up in bluff display & may 'mock strike' with mouth closed. The Golden Crowned is the largest Crowned snake & will bite if highly provoked. 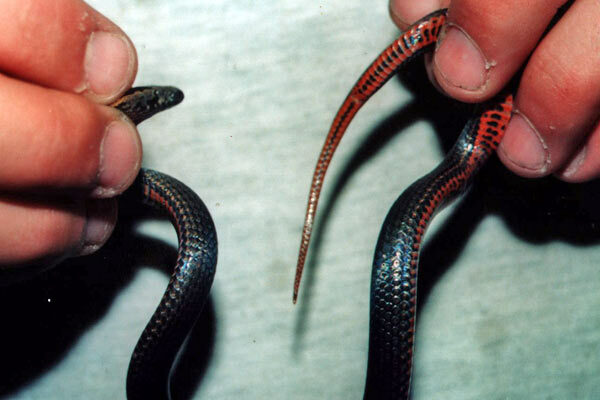 As with any snake bite apply correct first aid and seek medical attention. Grayish-brown to dark brown with salmon to orange belly with mid line of black spots. 'Crown' of parallel creamy-yellow or paler yellow-brown single stripe starting at snout & sweeping back either side of face and along neck, generally across eyes. Crown does not form band across nape of neck. 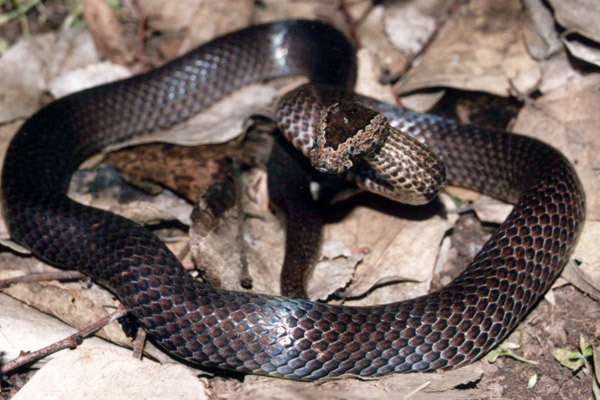 May be incorrectly identified as a small Red Bellied Black Snake. Midbody scales at 15 rows. Rainforest, and sheltered, moist areas within open forest eg; creek lines amongst litter, rocks, logs etc. Wherever good, lush ground cover prevails. Lizards such as skinks and their eggs. Also small frogs. Generally restricted to moister suburbs or homes near well vegetated riparian margins. Under compost, logs and stones in well-vegetated gardens Compost heaps, moist garden areas with abundant leaf-litter, and around rockeries provide ideal habitat.